Businesses are intended to make money, and the latter cannot be earned without customers. 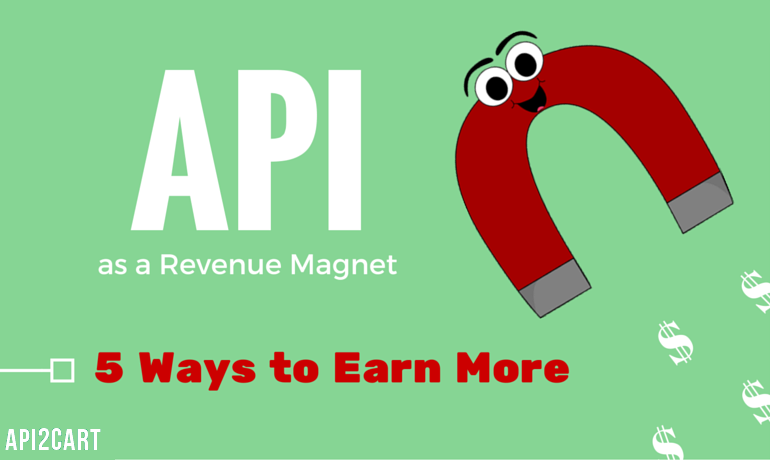 This article will teach you 5 ways to raise your business revenue by using APIs as an attention magnet to attract a sea of clients. Let’s take a look at the first of those API business models. Apps work as referral traffic and affiliates for a website -- they bring patrons and new consumers. There is a directly proportional relationship between the number of developers using your API and the third-party apps that have been built and utilized. No matter how many features these apps provide, they will gain more consumers that will use your API. The first model requires people to be consumers of your app and doesn’t work for cross-marketing that much. The second one, on the other hand, helps to stimulate third-parties to build exclusively new applications that would implement your API in absolutely new ways. Basically, the difference lies in being an inbound acquisition channel -- the second method serves as one while the first one doesn’t. Underpinned with your intention to build an ecosystem of innovative third-party developers around your API, either of the models mentioned above will work great. Moreover, you will benefit from somebody else’s effort because more app usage of your API will both attract ever new consumers and do backlinking for your website. Customer Lifetime Value (CLTV) is one of the most important factors in determining how successful a business is. CLTV calculation lets you know how much profit customers will generate over time, and retention is the best way to raise this major performance indicator. See the formula by Elie Ofek below, where ARPU is the average revenue earned per user or customer, r is the retention rate, and d is the yearly discount rate (which is often the interest rate as a proxy). As a bigger number of people start using apps based on your API, the market share you have for that type of API begins to grow too. After they achieve critical mass, it gets harder for third-party app developers to switch to another API provider and your retention rate goes up. The effect of increasing ARPU is not as great as in the case of retention, but it also raises CLTV. The best way to increase the ARPU without growing prices is to sell more goods for existing clients. Let’s consider how an API can help to achieve that. Another opportunity that API opens for your business is to upsell access to certain features. You can define the features that clients can consume at the very beginning and allow them to utilize additional ones after they acquired the admission. Also, you can grant a free use of your API till some particular limit, and charge customers after they overrun the designated amount. This strategy would encourage clients to consume your API more, as they could try it without extra payments. Thus, after they analyze and realize its value, they will be ready to pay for additional features or their exceeded limit usage. In order to implement this business model, you must have a huge number of users and be on the high rate in the market. If you’re in the opposite situation, then you have the option to try this strategy only for very valuable API features. The blind side is that consumers might shift to your rivals that present lower price or even provide this feature for free. Another way to increase the number of developers that integrate their apps with your API is to turn them into affiliates of your primary offering. It will drive extra demand and, therefore, the business revenue will raise as well. Affiliate marketing can raise CLTV even more effective than average acquisition tactics. Hence, using API affiliate strategy to boost demand for other products has a considerable potential. Every successful third-party app will generate you an increase in customers in the same way as a devoted affiliate would do for your Web site. There is one trick at this model - you can become an affiliate yourself by simply exposing the integrations that others have done with your API. It will produce traffic to your associates and obtain a finder’s fee for yourself. Thus, you’re not only obtain help with app development and partnership marketing from third-parties but also get paid for driving new consumers to them. One more way to increase your business revenue is to let a bigger number of potential clients know it exists. Of course the conversion might be different but anyhow the more people will reach your content, the more customers you’ll get. And your API can help you to maximize the distribution. A vivid example of this is a website providing results obtained from a bigger merchant’s API. As the smaller companies can’t operate big data sets, the larger ones use a revenue sharing model to distribute their content via an API. So, by allowing third-party apps to obtain your content, you’re producing a great possibility for them to make easy money with you. APIs are more than extension cords for your data. They can also be a part of your business that serves as a magnet for consumer attention and revenue. By implementing one or more of the methods described above, you gain much better results on your revenue growth.